Easy way to access blocked torrent sites! From last week many sites were blocked in India. This is being mainly done to stop piracy in India which gradually adds a Censorship in Internet. Thus users are not able to access all the sites. Many friends called me up and asked me the ways to crack the network and bypass the restrictions made by the government. Sites like torrentz.com, Pastebin, isohunt and few more are blocked recently. You can get a detailed view about the Internet Censorship in our last posts. In such a scenario, torrent sites are badly hit by the restrictions imposed. To stop the piracy of few files whole website is down which, is not a good idea. File sharing is important because the meaning of urgency can only be felt when you are in need. 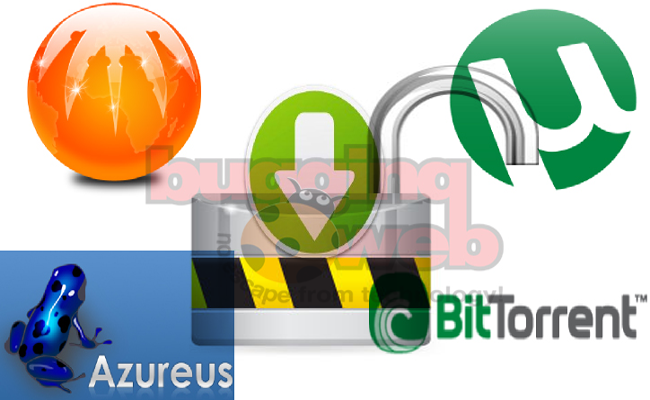 There are many ways to unblock the torrent sites but few may work and few may not. Start using Open or Public DNS – This gives a complete access to the sites which may be blocked in few regions. This is very easy to use. Please check our last post to know more. Using proxy sites – Use of proxy sites may be risky as they might be tracking you with the help of cookies. So do not prefer you to use proxy sites. It is sometimes little difficult to use the proxy sites as it also needs to create a login ID to use it. Easiest of all is to use HTTPS – this way you are making your torrent sites secure and bypassing the webpage through a secure gateway. This helps you to use and open up the torrent sites much quickly and easily. How to use the HTTPS for torrents? When you open up a page, you type in the site name and hit enter. Now you need to add https:// to the beginning of the site name like if the site is www.isohunt.com or http://isohunt.com then you need to replace it by https://isohunt.com and hit enter. You will find the blocked site is accessed easily. Hope you will be happy to get your torrent access back. You can easily access these blocked torrent as well as other blocked websites by using AnchorFree’s Hotspot Shield VPN. It works on wireless and wired connections alike. Provides Unlimited Bandwidth and available in free version as well. Thanks Mark for your valuable comment. This is a good third party software to access blocked sites. Thanks … be regular to get such updates! Thank you for a nice article. I’d like to add my choice as well, I found a very good service to be anonymous and protected in many directions. I prefer using http://pirateray.com/proxy , it works in any environment, with any browser, Skype, Wifi wherever I travel, they use encrypted SSH tunnels and proxies in different locations for better security and anonymity and the list of the servers is always updating which is very effective. That’s great. Will try it! « How to open a blocked site with Public DNS?